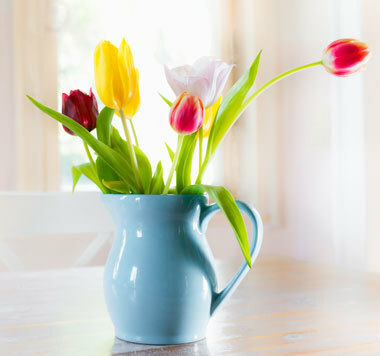 Active housing inventory saw a 13 percent increase MOM in March to 4,482, which is significant considering Metro Denver reached the lowest inventory mark on record in February. 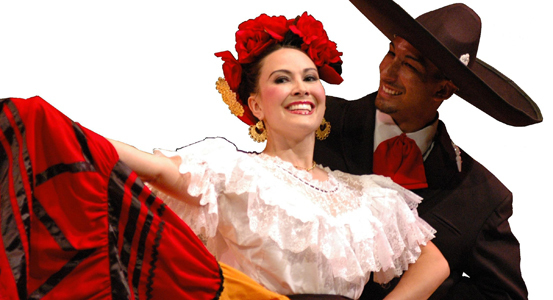 A weekend filled with food, fun, and culture, Denver's Cinco de Mayo 'Celebrate Culture' Festival puts the spotlight on the Migh High City's vibrant Latino population. With more than 400,000 attendees expected, it's one of Denver's most fun and family-friendly events. The Colfax Marathon on May 15th is the best urban tour around! Run the mile high course that takes you on and off Colfax, through parks, neighborhoods, trails, and downtown. Enjoy amazing views of the front range, Confluence Park, Sports Authority Field at Mile High's concourse, and the Cherry Creek Trail. The half marathon runs through the Denver Zoo! With median sale price of Denver homes topping $350,000, Denver is now the 13th most expensive real estate market in North America. Only two Canadian cities rank higher, meaning Denver is 11th in the United States, and 5th among cities West of the Mississippi. 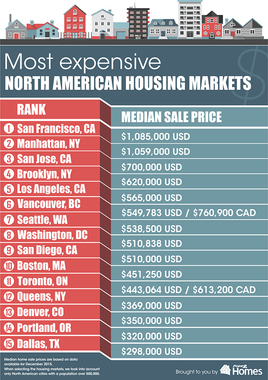 San Francisco ranks first with a median sale price of $1,085,000, followed by Manhattan, San Jose, Brooklyn, and Los Angeles rounds out the top 5 in North America.